Welcome to the official BHEC website! Please explore! 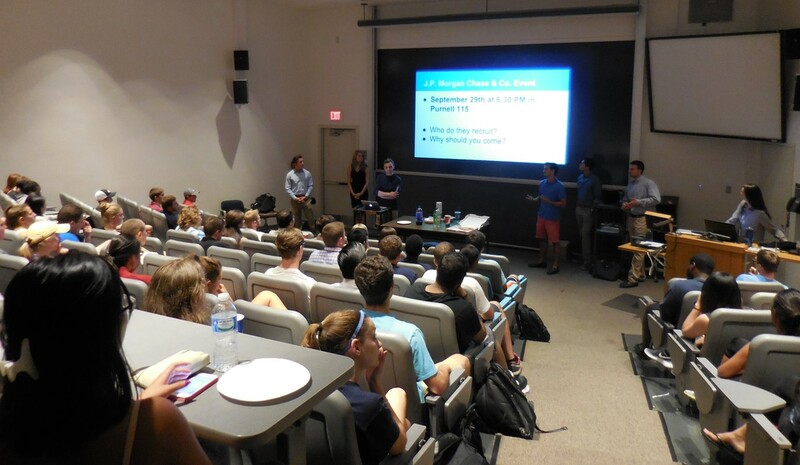 The Blue Hen Economics Club is open to all majors. We host a variety of events each semester such as case competitions, resume-writing workshops, guest speakers, and employer networking. Check out our events page for upcoming and past events. To join BHEC on UD Student Central, use the link below, sign in and search for "Blue Hen Economics Club". - "Clothesline Proposition", "Rain Gardens" and "Chuting for Sustainability" win 1st, 2nd, and 3rd place prizes respectively in the Spring 2016 Environmental Case Competition!